Your book cover plays an important role when it comes to selling your book and yet, all too often, authors treat it as something of an afterthought. The truth is that you need to put considerable time, research and thought into the design of your cover. Get it right and you will reap the rewards but, get it wrong, and you could be left scratching your head and wondering why nobody is buying your book. There are a number of things that you need to consider when designing a book cover and here are just seven things to help get you started. 1. Think like a book buyer. Although people do still browse the shelves of their local bookstore, the majority of people today shop for books online using sites like Amazon. This means that buyers will not be looking at a full-sized version of your book, which they can pick up and inspect, but will be seeing your book initially as a small thumbnail alongside a number of other thumbnails for books in your genre. So, as you design your cover keep asking yourself how it will look when viewed as a small graphic image. Before you start designing your own cover, hop online and go window shopping for your book by looking on a site like Amazon at those books that will form your competition. As you browse through the books available look carefully at those that stand out – both positively and negatively. What works and why? What does not work and why? While you do not want to copy others, there is nothing wrong with looking to other authors for inspiration and also with learning from their mistakes. 3. Steer clear of overused themes. How many books about personal finance have you seen with a piggy bank or a pile of dollar bills on the cover? Your book cover should be new, fresh and unique so don’t go down those well worn design paths which have been followed by so many authors ahead of you. 4. Stay within the bounds defined by your genre. If you look through the bestseller lists for your genre you will notice some patterns in certain areas such as, the images chosen, the color schemes employed and the fonts selected. Generally, there will be a fair degree of flexibility within these patterns and you clearly want your book to stand apart from the others. However, be wary of trying to stray too far from the pattern that readers in your genre expect to see. 5. 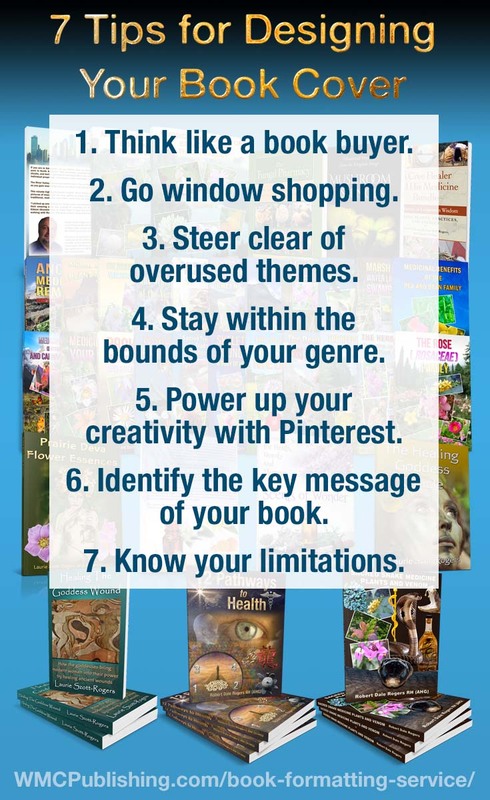 Power up your creativity on Pinterest. Pinterest has many hundreds of boards devoted exclusively, or in large part, to book covers and it is a great place to get inspiration. More particularly, you can set up your own board for your book (even making it a private board if you want to) and can save pins as you find them to review at a later date. A few days of adding pins as you have the time will soon build a sizable board for you to study at your leisure. This is a great way to refine your ideas for your finished cover. 6. Identify the key message of your book. Before you begin your cover design take a piece of paper and write down in a single, short sentence the one key message that your book conveys. Then, once you have an outline for your design, ask yourself if it too conveys this message. If it does, that is great. However, if it does not, then you need to go back to the drawing board. 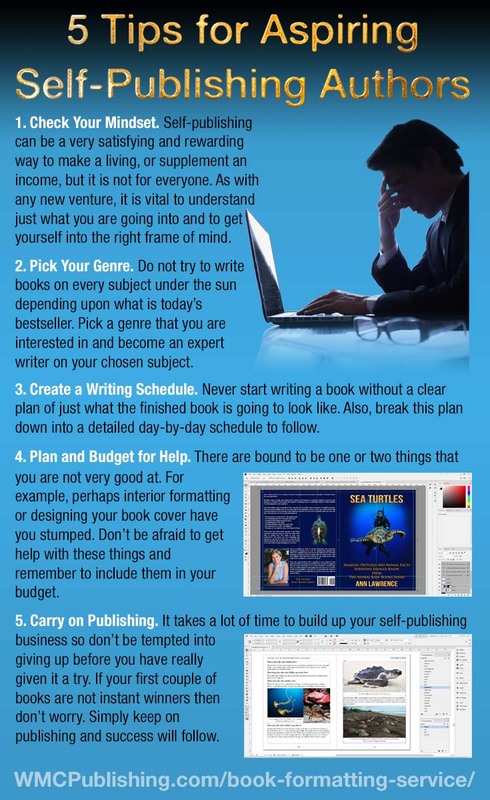 Most authors should be able to complete the steps above without too much difficulty and to come up with several ideas for a book cover. It is then simply a question of whether or not you have the skills, and the tools, to build your cover. Your cover is critical to the success of your book and so, if you do not have personal experience of building a cover, seek professional help. Cover creation does not have to cost an arm and a leg and most authors are surprised at just how affordable it can be to outsource this particular task. 1. Market Size. With an enormous 80% market share, Amazon dominates the book market. While there are a lot of different places that you can go to sell your books, it makes sense that you should, at the very least, offer your books for sale through the world’s largest bookstore. Indeed, for new authors, Amazon is a great place to start. That said, you should not ignore other outlets as, apart from anything else, it is never a good idea to put all of your eggs into one basket. 2. High Royalties. Traditional publishers offer royalties of 15%-20%, while Amazon pays 35%-75% on net revenues. Since your aim is to sell your books and make as much money as you can, it does not make a lot of sense to start your publishing career by limiting your earning potential. 3. Unlimited Shelf-life. Traditional bookstores will typically display your book for 30-60 days, unless it is flying off the shelf. By contrast, Amazon will stock your book for as long as you like. Bookstores have limited shelf space and, since these are real rather than virtual shelves, it costs money to put your book on display. Of course there is also a real-estate cost when it comes to displaying your book online, but the cost here is quite honestly insignificant in relation to the cashflow of Amazon’s business overall. 4. Simplicity. 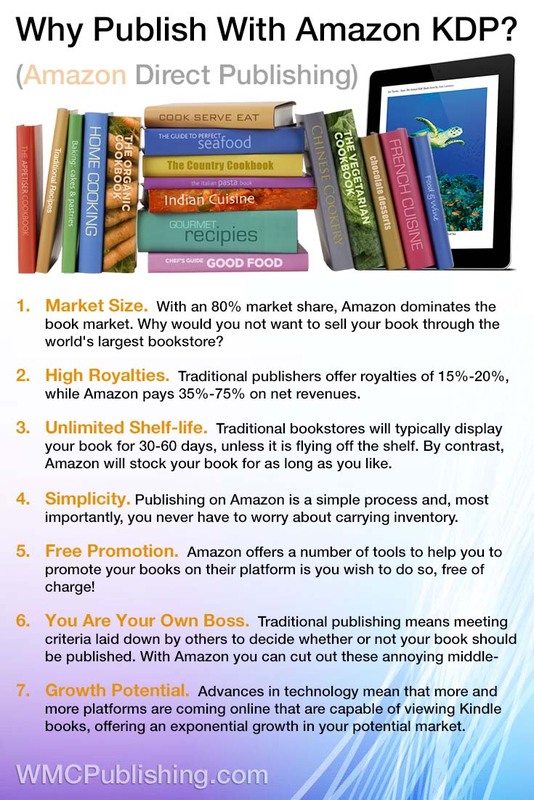 Publishing on Amazon is a simple process and, most importantly, you never have to worry about carrying inventory. Whether you are publishing an eBook or a print-on-demand book, Amazon provides you with a range of templates and tools which make the process easy. Of course they cannot do everything for you and you may well need some help with such things as formatting your book interior and designing your book cover, but these services are available online today an very affordable prices. 5. Free Promotion. Amazon offers a number of tools to help you to promote your books on their platform is you wish to do so, free of charge! In addition, Amazon Marketing Services allows you to advertise your books on Amazon at a very reasonable cost. 6. You Are Your Own Boss. Traditional publishing means meeting criteria laid down by others to decide whether or not your book should be published. With Amazon you can cut out these annoying middlemen. Anyone who has ever used the services of a publishing house will know only too well just how bureaucratic such organizations can be. Indeed, getting your book published often means having to jump through a bunch of hoops to meet the publishing house’s requirements. Of course Amazon does have a set of content guidelines which define what they will and will not allow you to publish, but these are reasonable, clearly laid out and easy to understand. 7. Growth Potential. 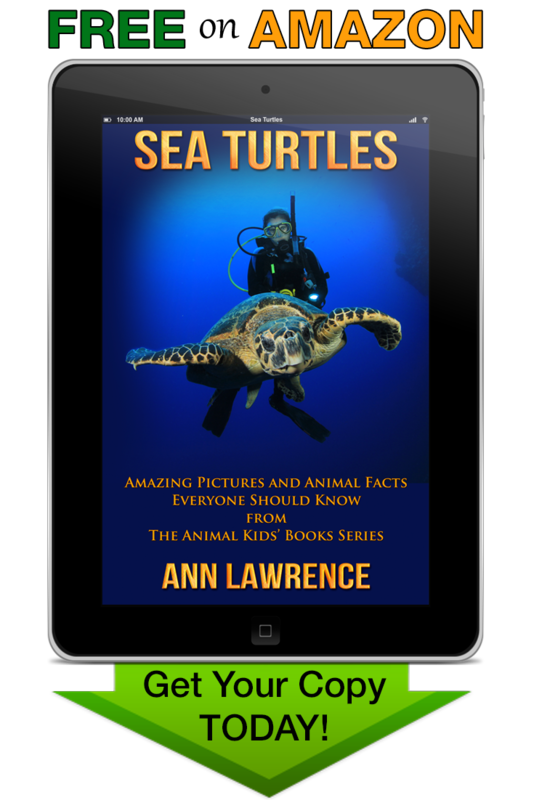 The Kindle range of eBook readers are among the most widely purchased today, but they are not the only eBook readers available. In the past this has been a problem for some users, and people who did not own a Kindle device found themselves in difficulty. Advances in technology however mean that more and more platforms are coming online that are capable of viewing Kindle books, offering an exponential growth in your potential market. The history of the kakuro puzzle is similar to that of the sudoku puzzle in the sense that, despite its name, it did not originate in Japan. The kakuro puzzle that we are familiar with today was invented by Jacob E. Funk, a Canadian employee of Dell Magazines, in 1966. The puzzle was originally named “cross sums”, although many people used the name “cross addition”. In 1980 the president of Nikoli Puzzles, Maki Kaji, brought this puzzle form to Japan where it was re-named “kasan kurosu” (meaning addition cross). Then, in 1986, Nikoli Puzzles adopted the name “kakuro”, which was the common abbreviation used by Japanese players of the game. Between 1986 and 1992 kakuro was Nikoli Puzzles best selling puzzle and dropped into second place below sudoku in 1993. 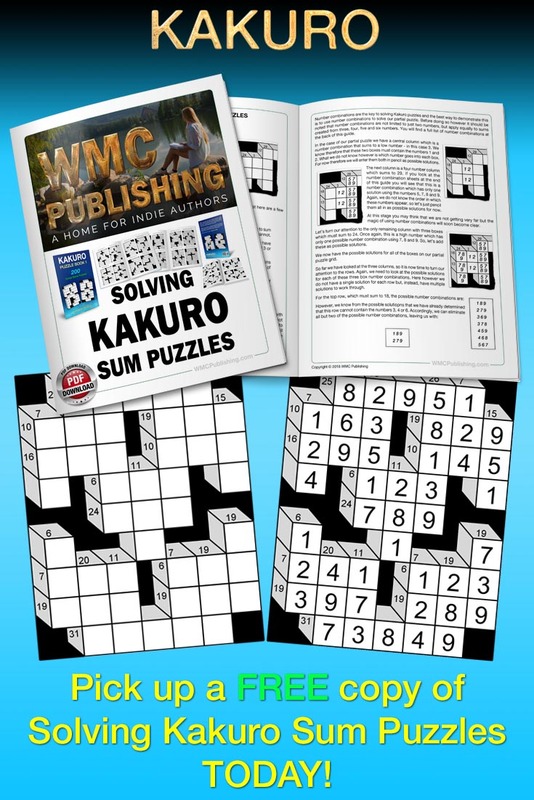 Today kakuro puzzles appear in more than 100 Japanese magazines. 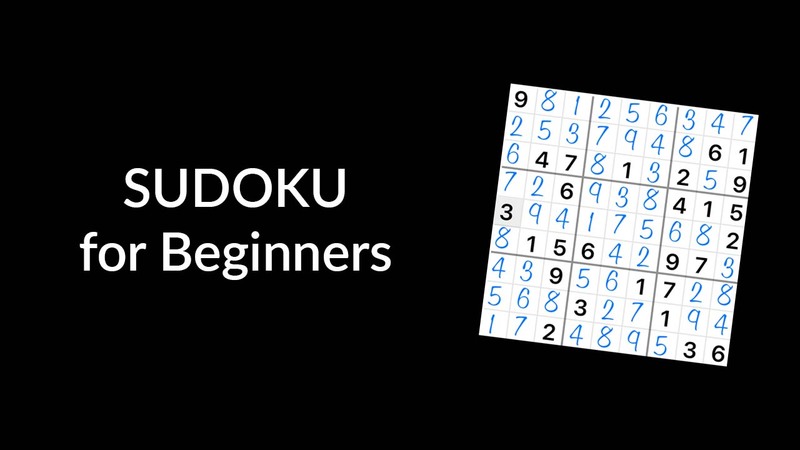 Like sudoku, the popularity of kakuro soon spread to the West and in 2005 two UK newspapers, The Guardian and The Daily Mail, started running daily kakuro puzzles. 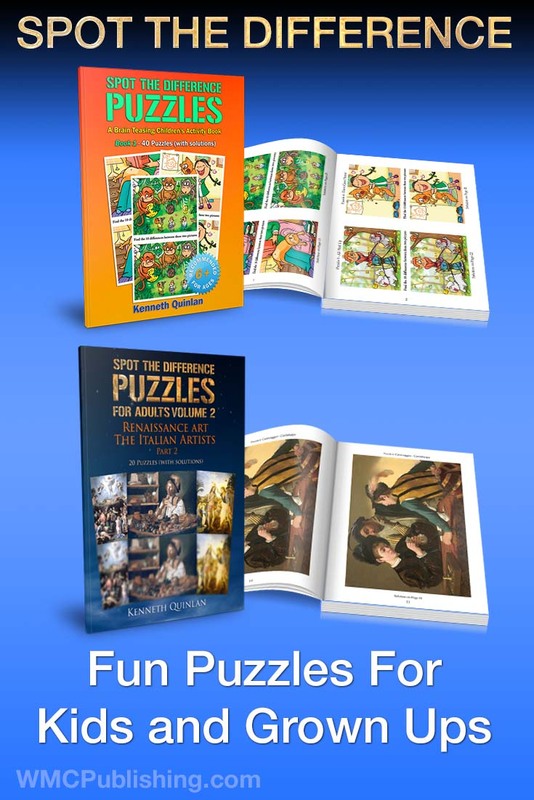 From here the craze spread quickly and today kakuro puzzles are regularly published in a large number of countries around the globe. As with most puzzles today, kakuro has evolved over the years and there are now several variations of the puzzle form. The original version however consisted of a 16 x 16 grid of white squares with a row of black squares running along the top and down the left-hand side of the puzzle grid. Black cells were also added by the puzzle designer within the main white square grid to break the puzzle grid up, in a fashion similar to that seen in crossword puzzles. The black cells were divided into two triangles by a diagonal line running for the top left corner to the bottom right corner of each cell. Numbers could then be entered into the upper and/or lower triangle. Following the terminology used in crossword puzzles, these numbers were called “clues” with a number in a lower triangle being a clue for the vertical row of cells under the triangle. Similarly, a number in an upper triangle was a clue for the horizontal row of cells to the right of the triangle. Today this principle still holds true, although many puzzles are now designed in a 3D format. The rules of the classic game are simple. players must enter numbers into the vertical and horizontal rows defined by the black boxes added by the puzzle designer. For vertical rows, the numbers inserted must add up to the clue number in the triangle at the top of the vertical row. For horizontal rows, the numbers inserted must add up to the clue number in the triangle to the left of the horizontal row. Only the numbers 1 to 9 may be added to the puzzle and no number can appear more than once in any row. There are various techniques that can be used to solve kakuro puzzles but, underlying all of these, are what are known as “magic blocks” or “combinations”. Put simply, these are situations within a puzzle where, regardless of the puzzle design, only a single solution is possible for a particular row. For example, if you have a row of 2 cells and the clue number is 4, then the only two numbers that can be entered are 1 and 3. You will need to use logic to decide which number goes in which grid square, but at least you know that these are the only numbers that can be used in the solution. 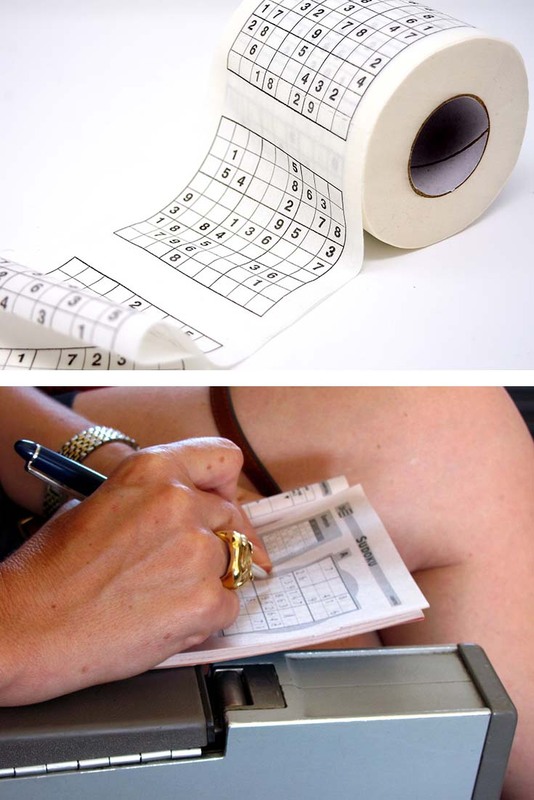 This may seem a little simple, but for larger numbers and longer rows, narrowing down the numbers which can be used can be extremely helpful. For example, for a row of 4 grid squares and a clue of 29 it can save a lot of time if you start by knowing that the only numbers that can appear in the solution are 5, 7, 8 and 9. It is important when embarking on any new venture to ensure that you know exactly what you are getting yourself into and that you take positive steps to get yourself into the right frame of mind at the outset. Do your research and make sure that you understand just what self-publishing entails. More importantly, think about just how your new job will effect your lifestyle and that of your family. Hitting a home run with your first book is a bit like winning the lottery – it is something that always seems to happen to someone else. Making money from publishing these days is a volume game. You will win some and you will lose some but, as long as you keep going, you will succeed. For most people getting up and running, and pressing on when things are not going your way, means developing the right mindset from the outset. Take the time to decide just what sort of books you want to write. A common problem today is authors who end up being jacks of all trades and masters of none because they spend their time chasing the latest shiny object. Anyone who is familiar with the world of Internet Marketing will know that today’s money making venture will have disappeared by the end of the month, to be replaced with something else. This, in turn, will last for another month before it is replaced. Unfortunately, the same is true of the publishing world and it is all too easy to hop from one latest bestseller trend to the next. Don’t do it. Pick a genre or niche, whether fiction or non-fiction, which you are interested in and learn everything you can about it. As an expert in a field you enjoy you will find it easy to start putting your thoughts down on paper. One of the biggest mistakes that many new authors make is to simply sit down and start writing their first book. Three months later, when they are stuck on chapter 3, many then give up saying that “this is never going to make me money”. You must have a plan, no matter how simple the book seems, and you have to break this plan down into a day-by-day writing schedule. This schedule must be realistic, but it should also be challenging. One important consideration when compiling your schedule is what your daily word count should be. This will vary from one writer to the next, and is also dependent on the type of book you are writing. It is nonetheless important to set yourself a daily word count target and discipline yourself to write each day until your target is met. Getting a book’s content down on paper is one thing, but getting everything “print ready” may mean that you need a little help. You may, for example, need someone to proofread your manuscript. You will be surprised how often you can read your own mistakes and not see them because your mind sees what you want it to see, rather than what is actually in front of your eyes. You may also need help with such things as formatting your book, including preparing and adding images and, of course, designing your book cover. Be clear about what you can do yourself and what you will need to ask someone else to do for you. A traditional publishing house will charge you a fortune for any of these additional services but, in this modern Internet era, it is not too difficult to find high quality help at very affordable prices. It takes time to build up steam in your self-publishing boiler so give your new business engine the time it needs to reach its operating pressure. It might seem like a crazy thing to say, but don’t worry too much about sales in your first few months. Some books will do well right out of the gate, while others may lay dormant for weeks before sales start to come in, and slowly pick up. Some books will also flop. You might be surprised to learn that most self-publishers have one book, and often several book, that have never sold a single copy. As long as you do your research, write quality books and keep at it long enough to get up a head of steam, your efforts will be rewarded. The titanosaurs were the last surviving group of long-necked sauropods and roamed the earth from about 136 million years ago to 66 million years ago. 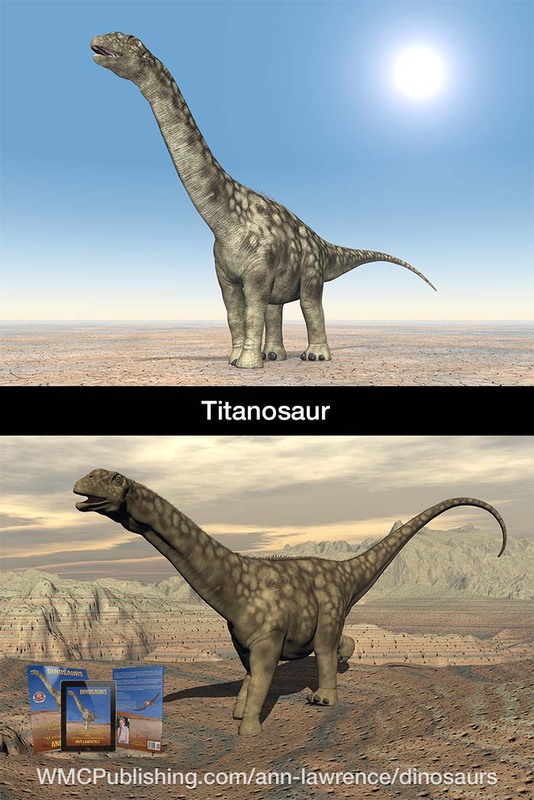 Titanosaurs were the dominant herbivores of their time and, according to fossil evidence, they replaced dinosaurs like the diplodocids and brachiosaurids that dies out during the late Jurassic and mid-Cretaceous periods. As expected fossilized dung reveals a broad plant diet, including many expected species such as cycads and conifers. Somewhat unexpectedly however theie diet also appears to have included palms and grasses, as well as plants which were the ancestors of what we now know as bamboo and rice. Evidence of titanosaurs has been found on all continents, including a fairly recent discovery in Antarctica. Some of the best preserved titanosaur remains were found in Italy, and fossils have also be unearthed in Queensland, Australia and in New Zealand. The oldest remains were discovered in the Valley of the Dinosaurs in Brazil, while the biggest footprint ever seen was found in the Gobi desert. It is also interesting to note that titanosaur nests have been found in Patagonia and Spain. 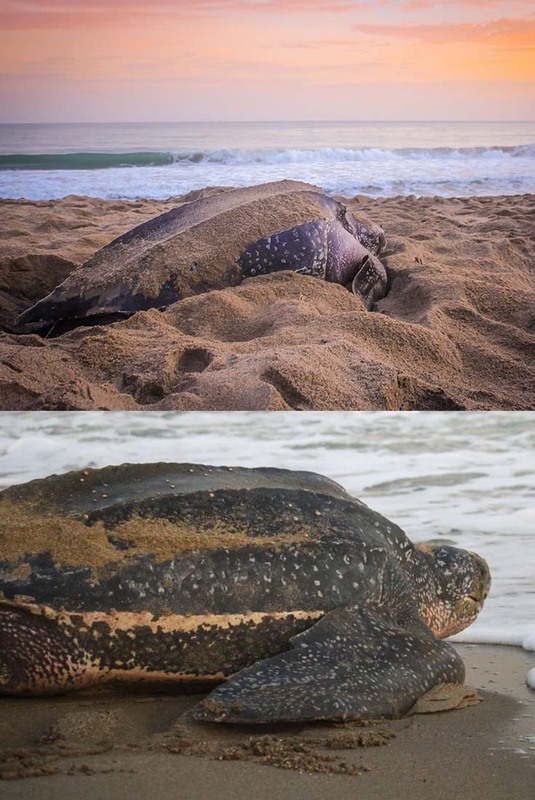 These discoveries, which show that females dug nesting holes with their back feet and laid an average of 25 eggs, concealed their nests with dirt and with vegetation. Among the finds were several small eggs of approximately 12 cm in diameter, containing fossilized embryos. As a group, titanosaurs included the largest land animals that have ever existed on earth, reaching up to 37 m in length and weighing up to 69 tonnes. 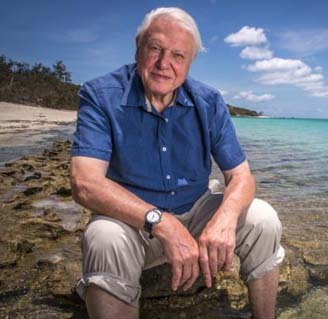 One of the world’s best known naturalists is the British broadcaster David Attenborough. The director of programming for the BBC during the 1960s and 1970s, he is perhaps best known for the nine natural history documentaries he presented for the BBC Natural History Unit. His career has truly spanned the television age, and he is the only individual to have won television awards in the categories black and white, color, HD, 3D and 4K. It was perhaps no surprise therefore that it was David Attenborough who unveiled the world’s biggest dinosaur on the BBC in 2016. During the broadcast the size of the titanosaurs was graphically demonstrated when Attenborough stood beside, and was dwarfed by, a replica titanosaur femur from a fossil found in Argentina by a pategonian shepherd. For full details of this find please see this article by Patrick Foster. 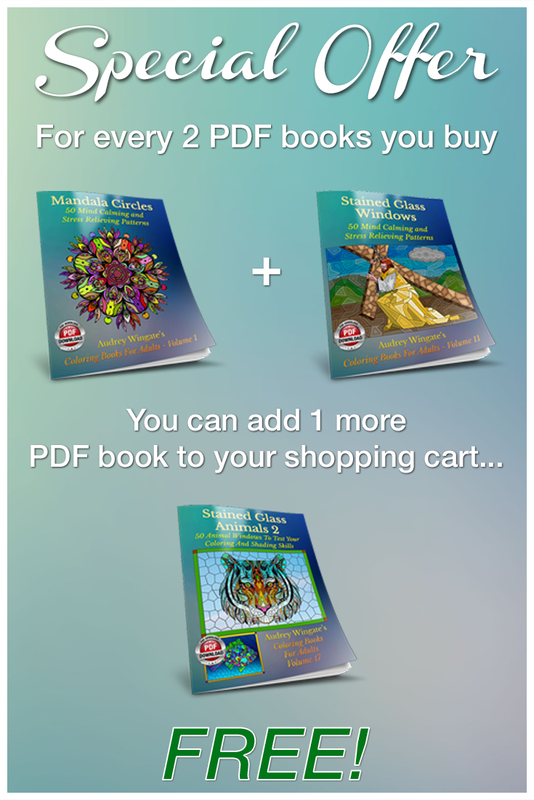 We currently feature a number of kid’s coloring books (print and PDF) including themes such as Halloween, Pirates, People and Dragon Land. 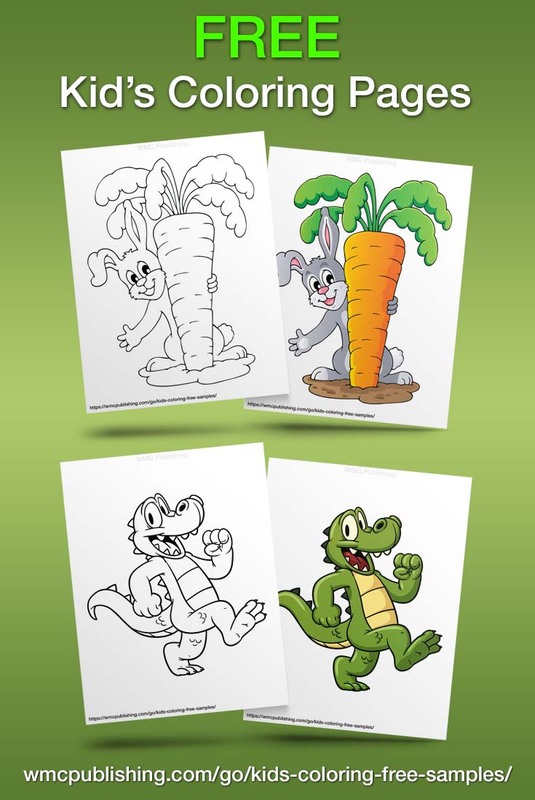 However, in addition to these full books, each of which contains 50 outlines ready for coloring, we have also decided to offer a number of free downloadable coloring pages, and these have now been added to our bookstore. 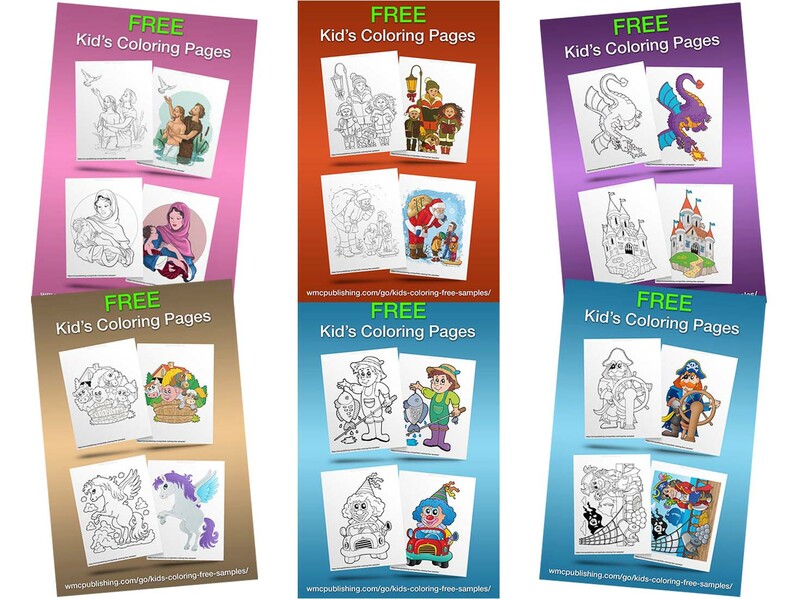 The free coloring pages currently cover themes including: animals, biblical themes, Christmas, Dragon Land, outdoors, people and pirates. Images for more themes may be added in the week ahead. To allow for the efficient delivery of these free images they have been added to the bookstore with a price of $0.00 and you simply need to add the images you want to your shopping cart. When you view your cart and check out, as long as you have only these free coloring images in your cart, then you will not be asked for any payment details.